Mark Zimmerman, CIO at MaRS, presented the Business Model Canvas talk last week at Entrepreneurship 101. Mark’s talk (video below) digs deep into each of the nine boxes in the Business Model Canvas; you’ll learn how to use it as a tool for articulating and innovating your business model. Mark’s first point was that the traditional 90+ page business plan is no longer the primary way to communicate your core idea and its value. The best thing that you can do to model your business right now is to fill out the single-page canvas. A spreadsheet showing the financial projections is a useful addition when presenting the canvas to prospective investors. 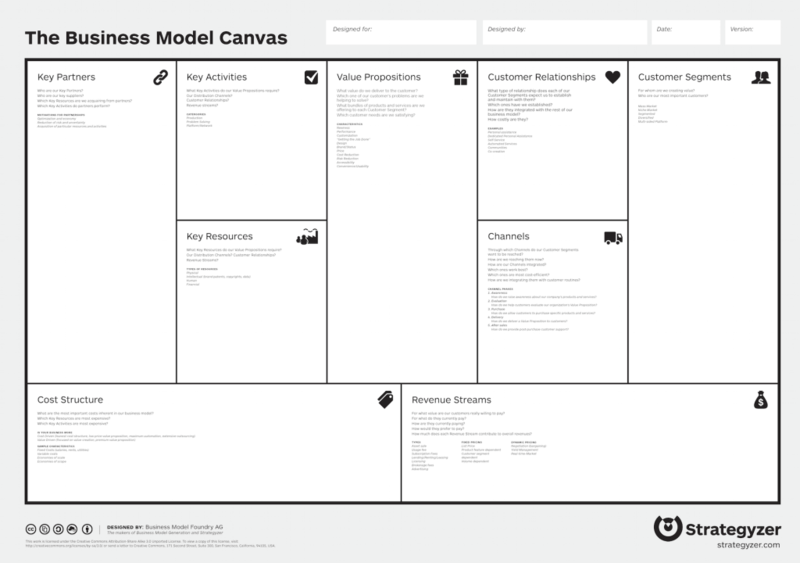 The Business Model Canvas is a highly logical tool to show how your business will turn resources and effort into something that people value and that creates profit. There are hundreds of business models you can build with the canvas; there isn’t a single “right” model, just one that works for your business. The purpose of a business is to create a happy customer, Mark says. Spend lots of time on the Customer Segments and Value Proposition segments on the canvas—they will drive your thinking on the rest of the canvas. In thinking about your Customer Segments, figure out who you’re going to make happy, how you’re going to delight them and how you’re going to convince them to part with some of their hard-earned money in exchange for your product and/or service. Mark went on to describe the rest of the canvas in a hierarchical way, demonstrating why the relationships between your Value Proposition, Customer Segments and Channels are key to showing what’s strategically important to your business and core operation. 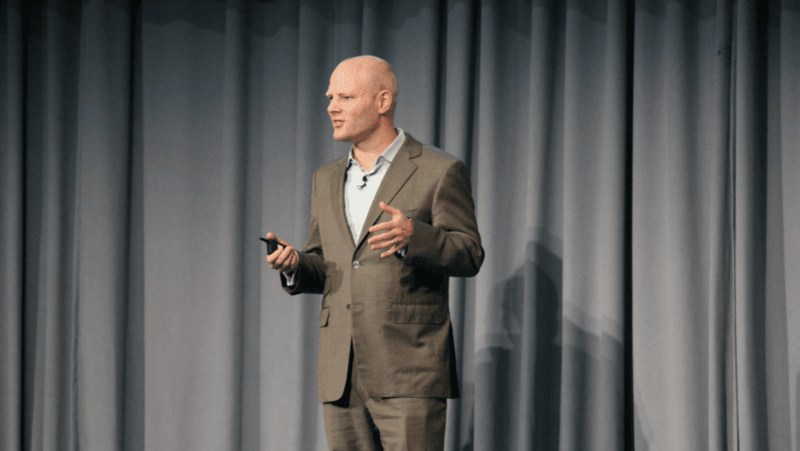 Watch Mark’s talk to get a tutorial on how to approach the Business Model Canvas, then use your canvas as a cheat sheet to tell your business story and customer journey. Download the canvas below and pick up the books Business Model Generation, by Alexander Osterwalder, and Running Lean, by Ash Maurya, to guide you through defining all parts of the canvas and how to go out and test it. Osterwalder’s new book, Value Proposition Design, builds on the foundation of the canvas and zooms in on the Value Proposition and Customer Segments.